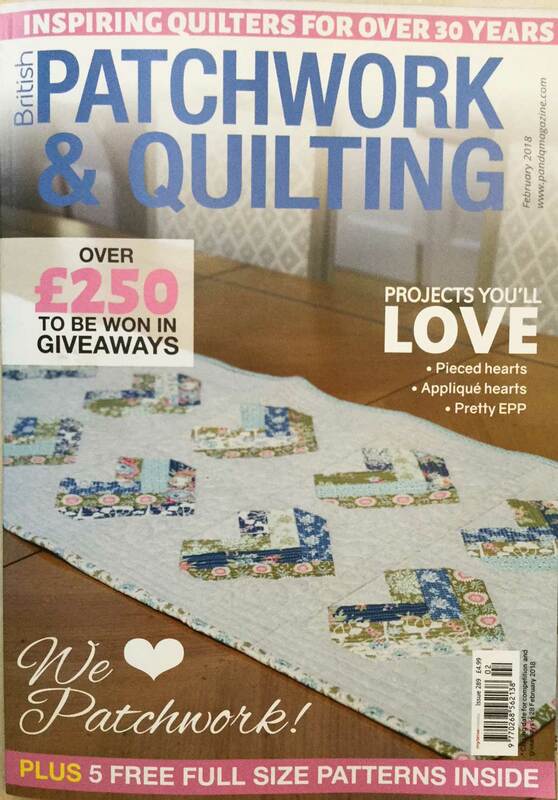 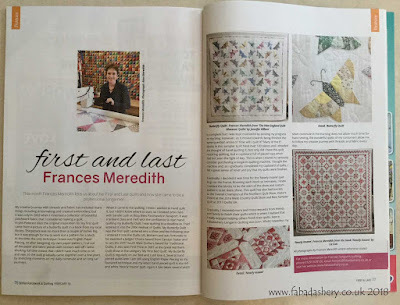 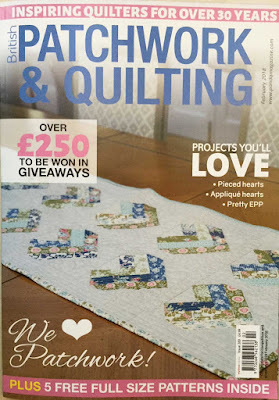 If you have picked up the February 2018 edition of British Patchwork and Quilting, you may have seen an article about me and my quilting. It features my first bed quilt, my Butterfly Quilt which you can find out more about on my blog, as well as my latest completed project, my Nearly Insane quilt. 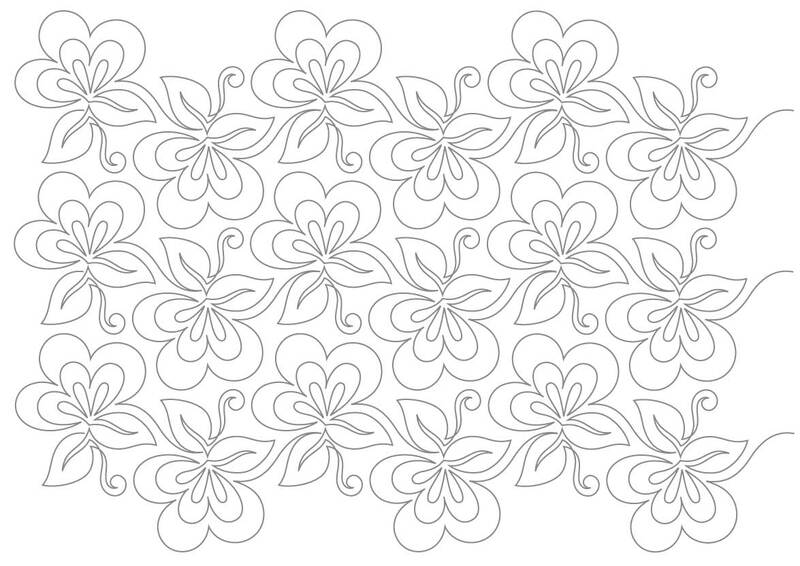 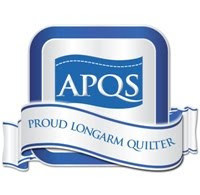 It was interesting to look back and see my journey towards becoming a professional long arm quilter. 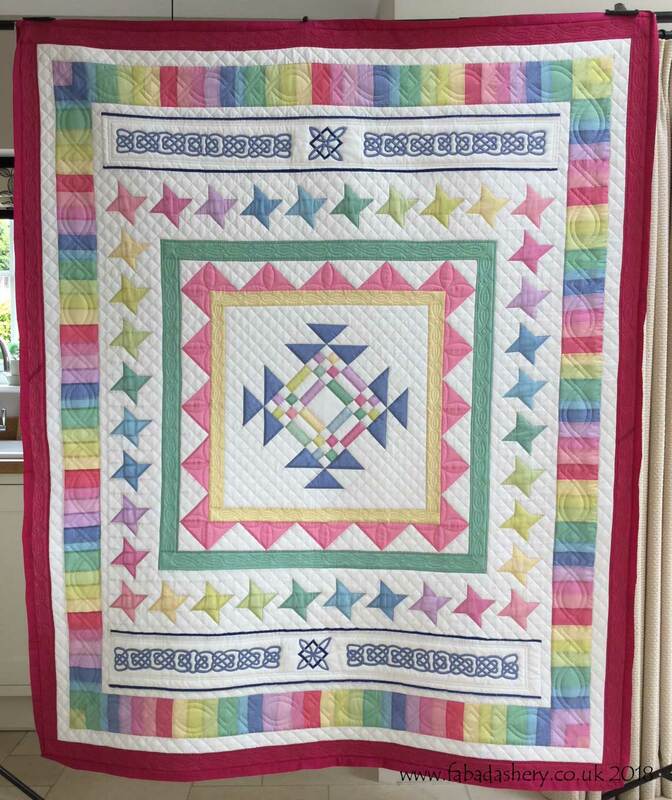 It's cold outside, so here is a photo of a nice cheerful, cosy quilt made by Penny. 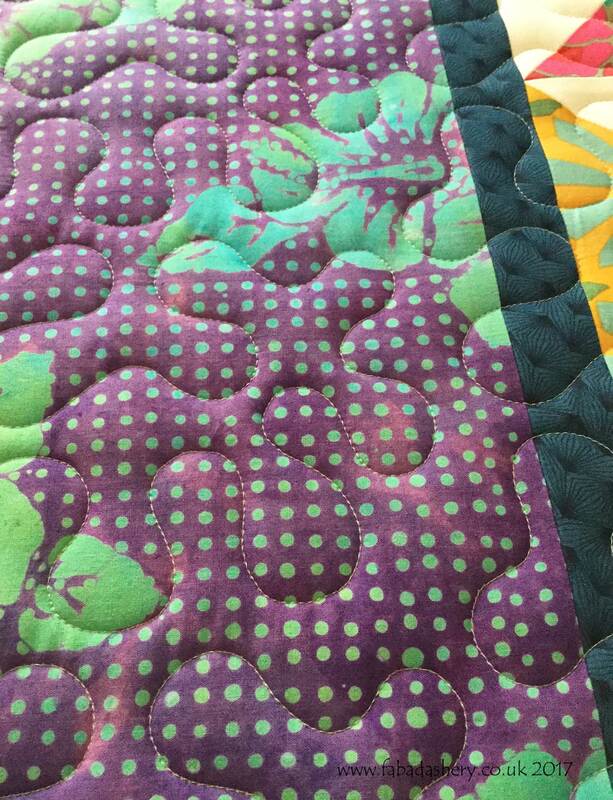 The colourful scrappy foundation blocks are pieced using pre-printed 'Foundation by the Yard' interfacing, which allows quick results. 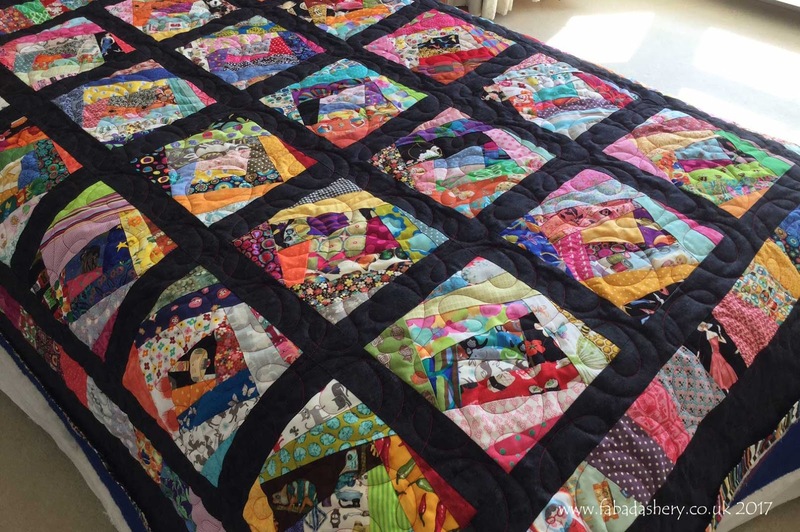 The black sashing really sets the colourful blocks off to their best. Penny also brought along her binding for me to add, which was a snazzy multi-coloured stripy fabric. 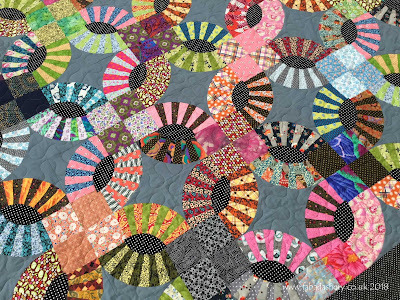 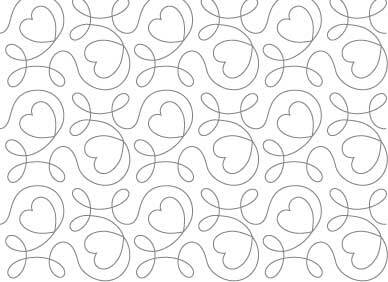 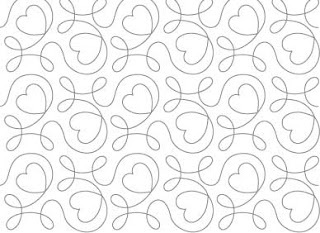 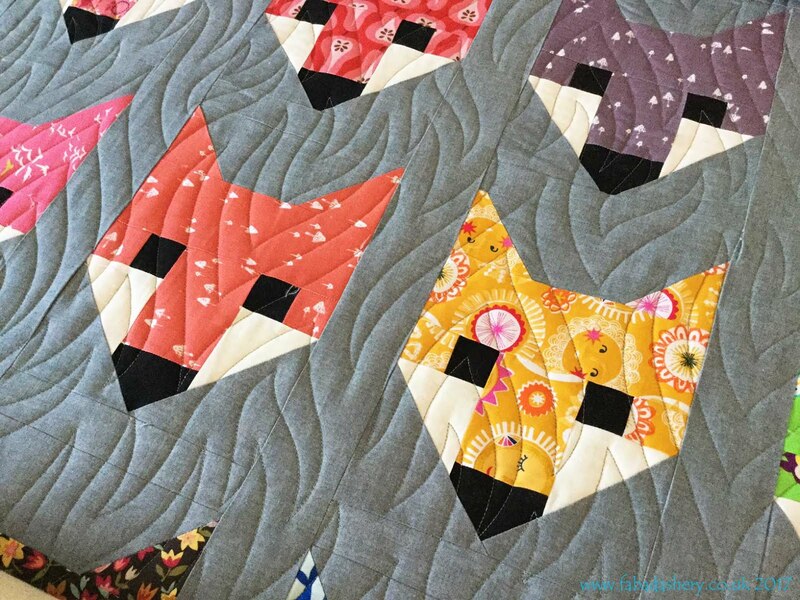 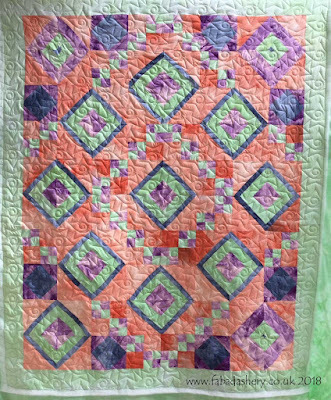 For this quilt Penny chose an all over digital pattern called 'Ginger Hearts'. 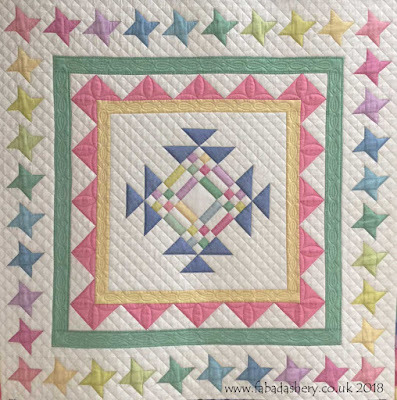 This is one of my most popular patterns and it always stitches out beautifully. 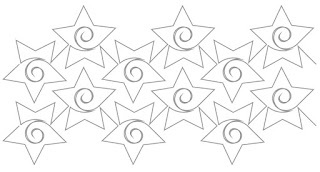 This is the centre panel of a quilt I have custom quilted for Ros. 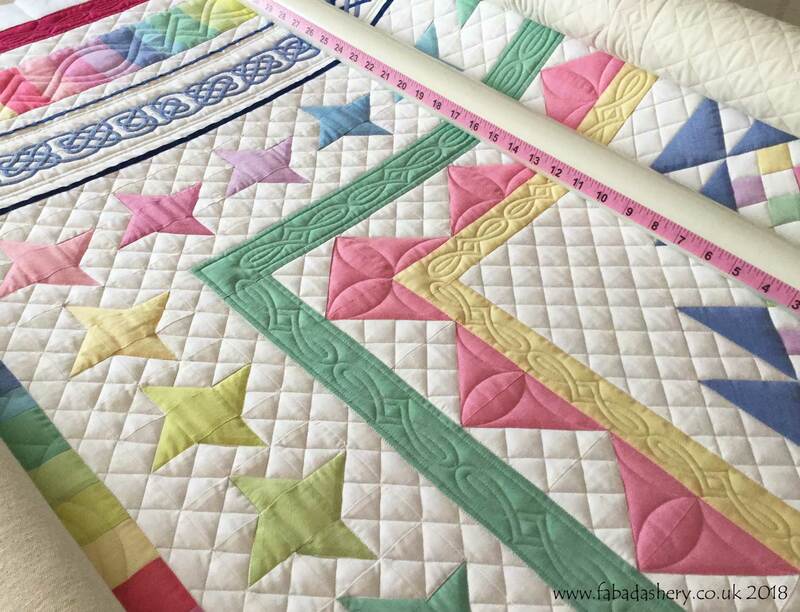 The quilt is made out of one of those delicious Oakshot fabric bundles in soft pastel colours. 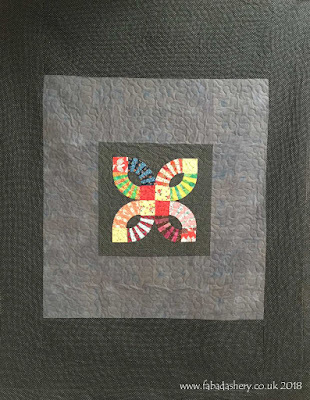 This quilt is a combination of digitized patterns, which are mainly in the borders, and lots of hand ruler work to create the cross-hatch pattern throughout the rest of the quilt. 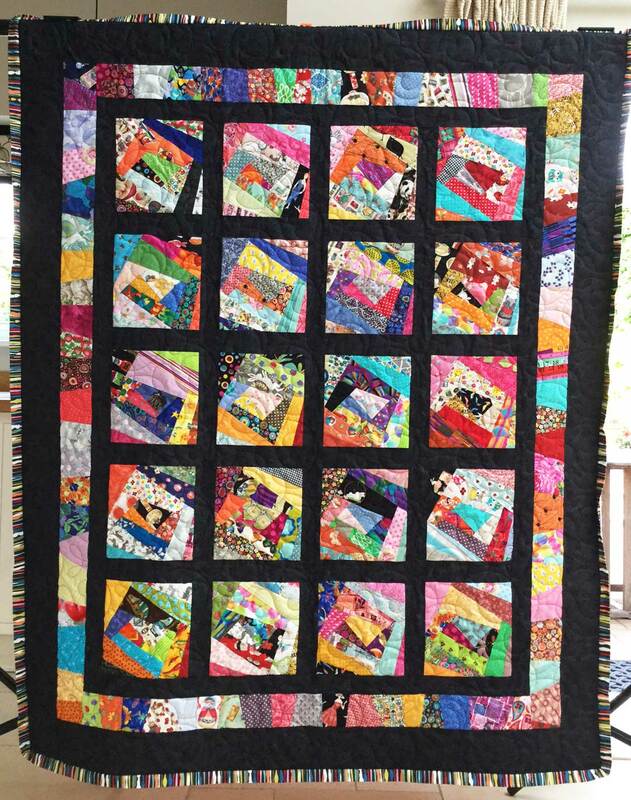 This quilt is heading off to some good friends. 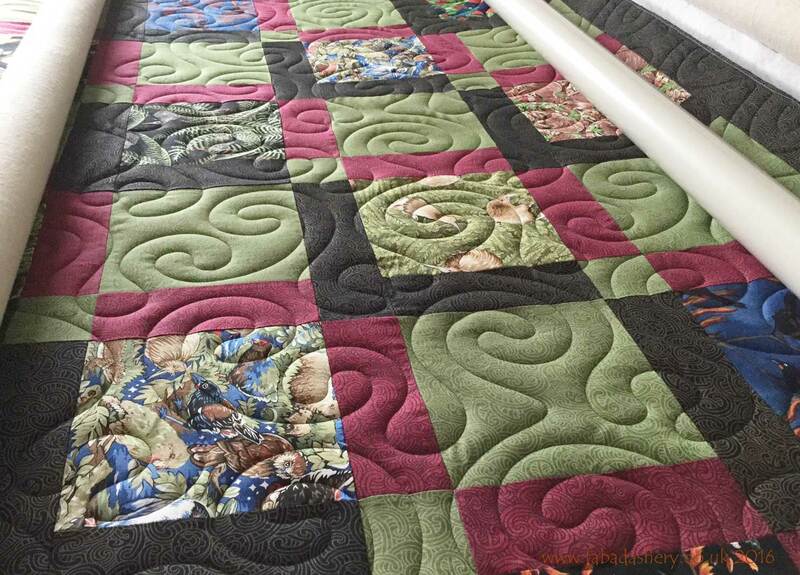 You can see from the photo of the full quilt that Ros did some intricate celtic knotwork which I quilted by stitching in the ditch. 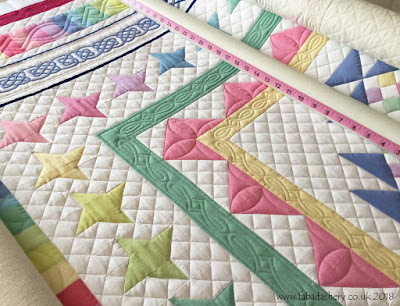 Do you have a Oakshott bundle sitting in your stash waiting for a project? 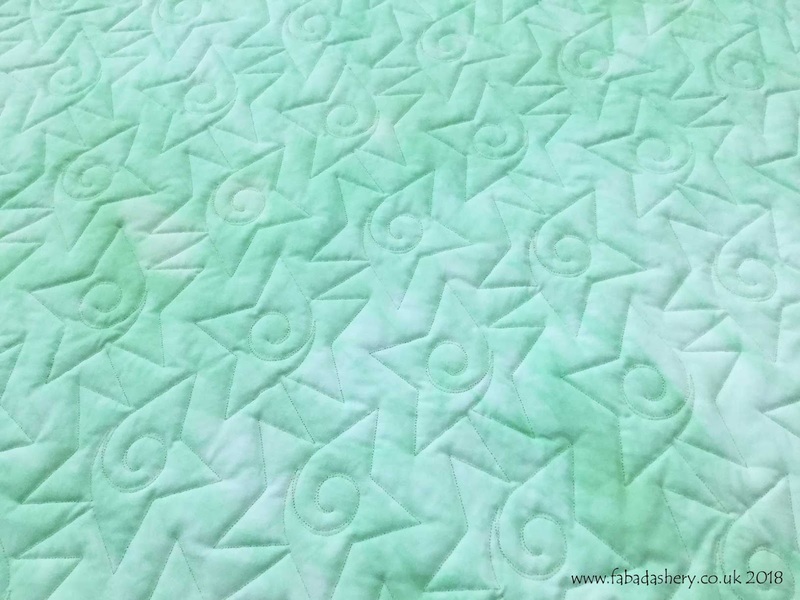 This gorgeous scrappy Pickle Dish quilt is just one of the quilts that I will be showing you which Sherry brought to me for long arm quilting. 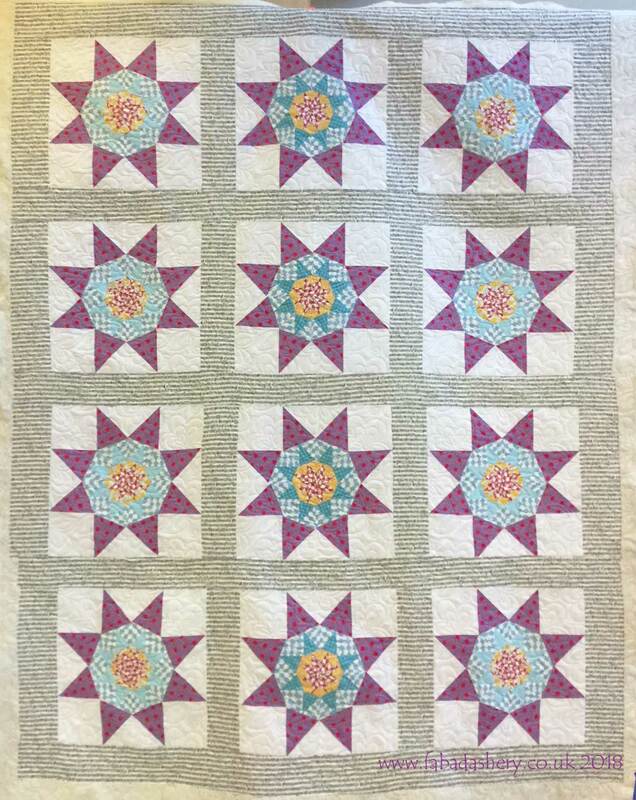 This one is for her son and family. 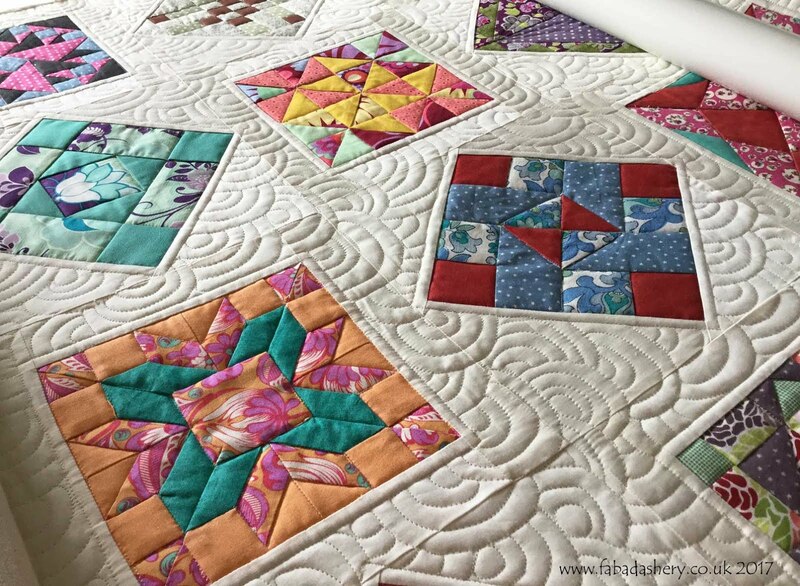 I think a Pickle Dish quilt is on my bucket list of quilts to do as it is a great way to use up scraps and you can have so much fun choosing them as you go along. 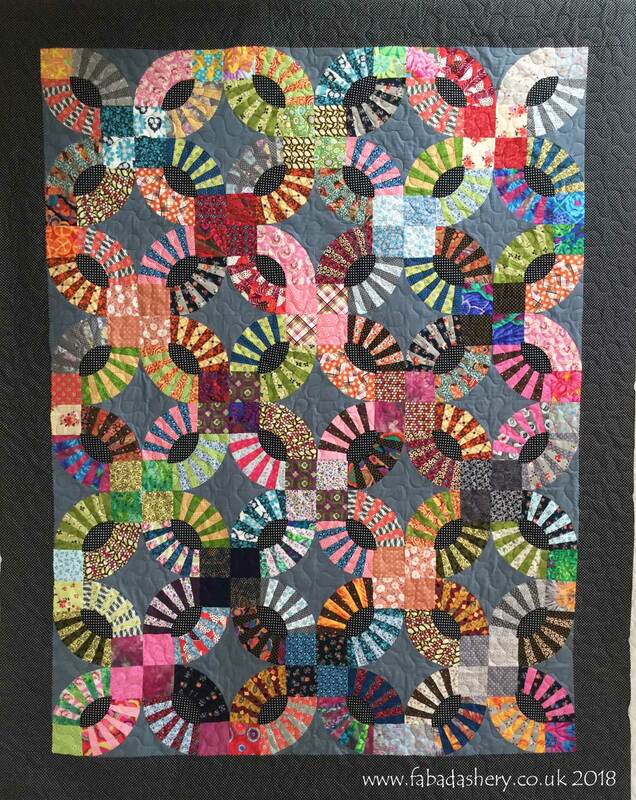 I also love the way the grey fabric shows off the brighter fabrics. 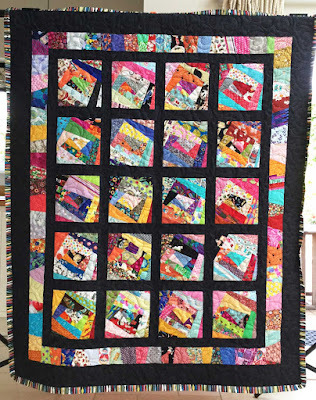 What a wonderful quilt to receive as a gift. 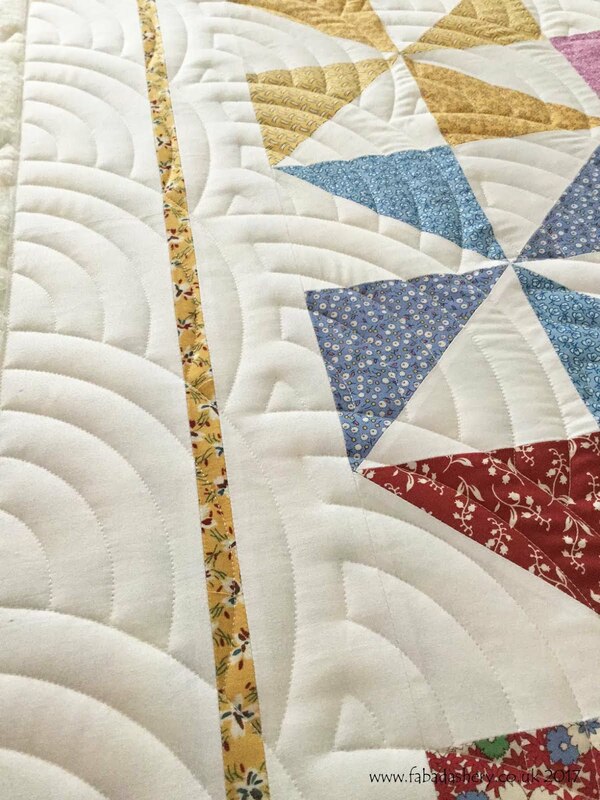 Sherry also managed to make an extra Pickle Dish to put on the back - again, the back is just as important as the front. 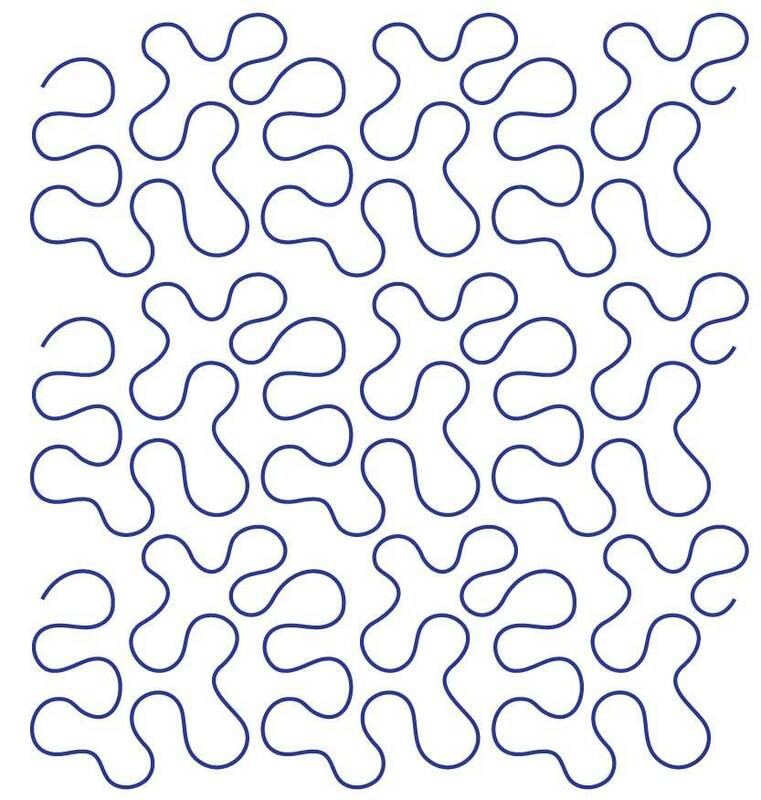 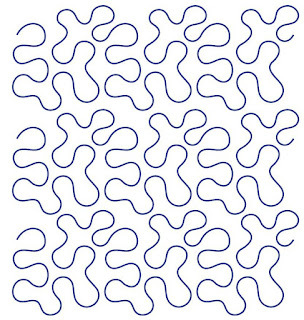 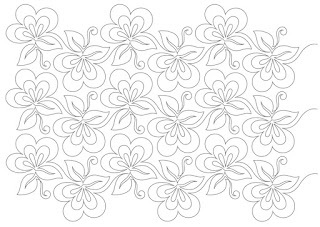 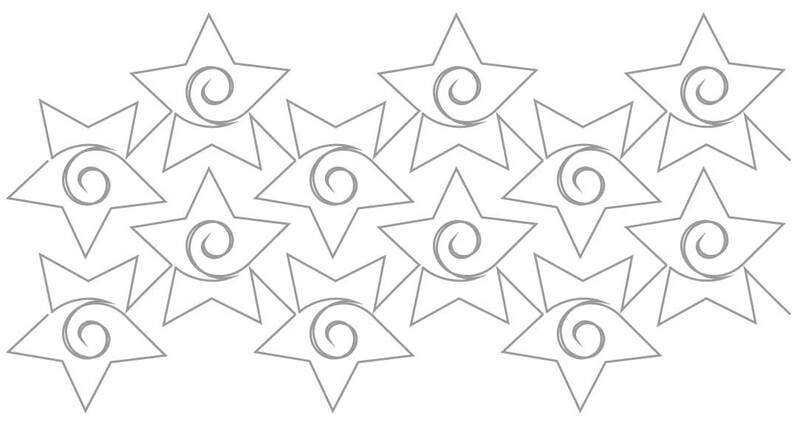 With such a busy pattern there was no need to go over the top with a busy quilting design, so we kept this one simple with an all over meander, a digital pattern called 'Bam!'. 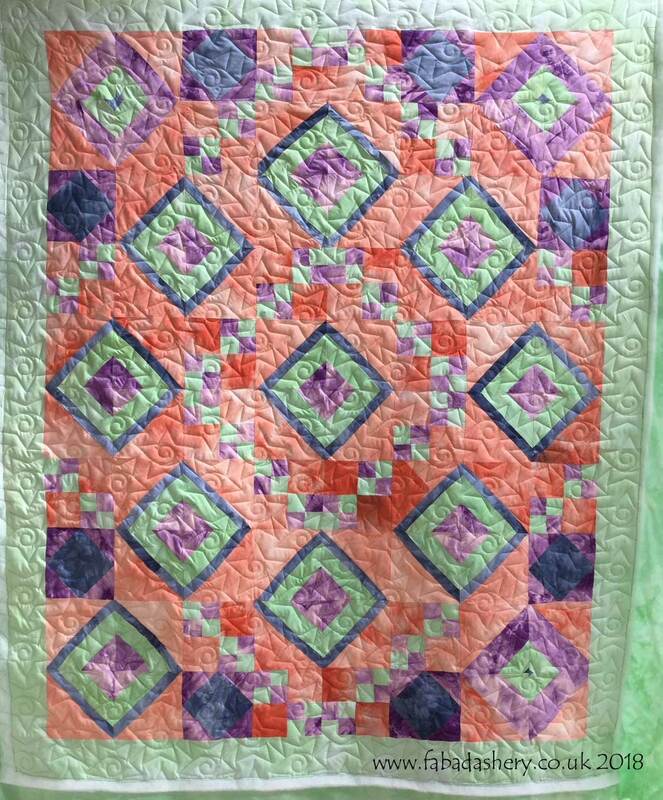 I have featured Jacqueline's hand-dyed quilts before and here is another beautiful quilt made from her own fabrics. 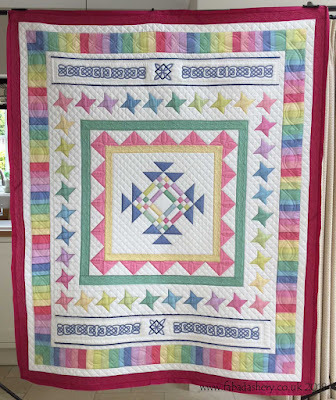 The pattern was a mystery quilt featured on the internet and has now been gifted to a kind neighbour. 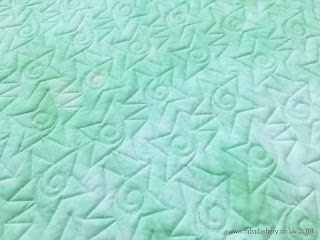 The quilt pattern used on this quilt is called 'Starlets' designed by Lisa Calle and shows up nicely on the back of the quilt, which is also hand dyed in green. With the Christmas secrecy out of the way it is time to show you some of the beautiful quilts I have helped to complete, which have now been gifted to family and friends over the past few weeks. 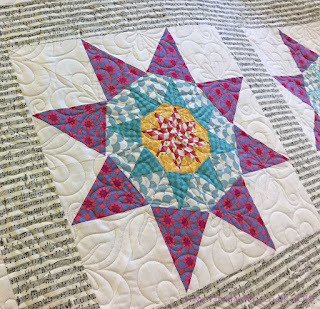 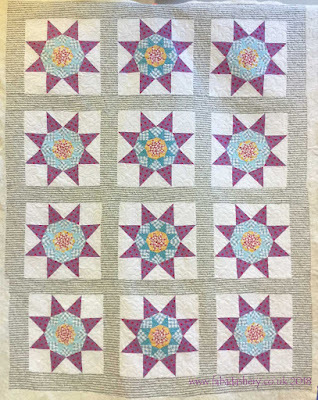 This stunning quilt made by Penny is foundation pieced with lovely bright fabrics and sashing which is printed with musical notes. 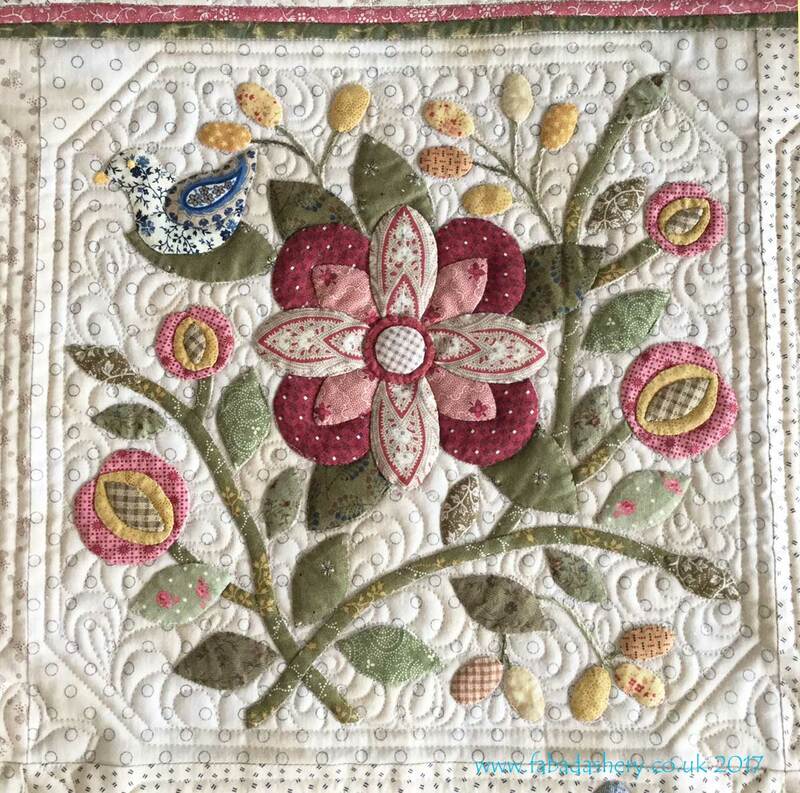 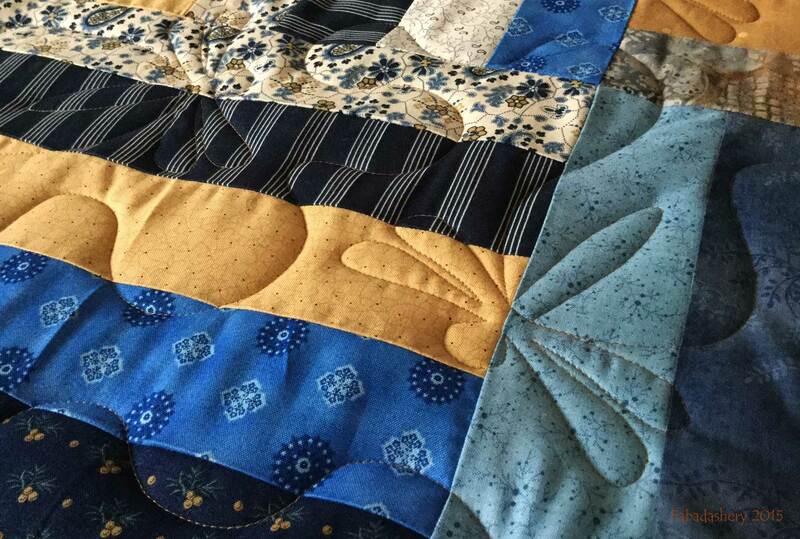 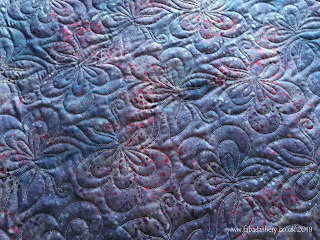 For this quilt I used a warm grey quilting thread and a quilt pattern called 'Moxie', it is one of my favourites and I have used it on my own quilts several times. 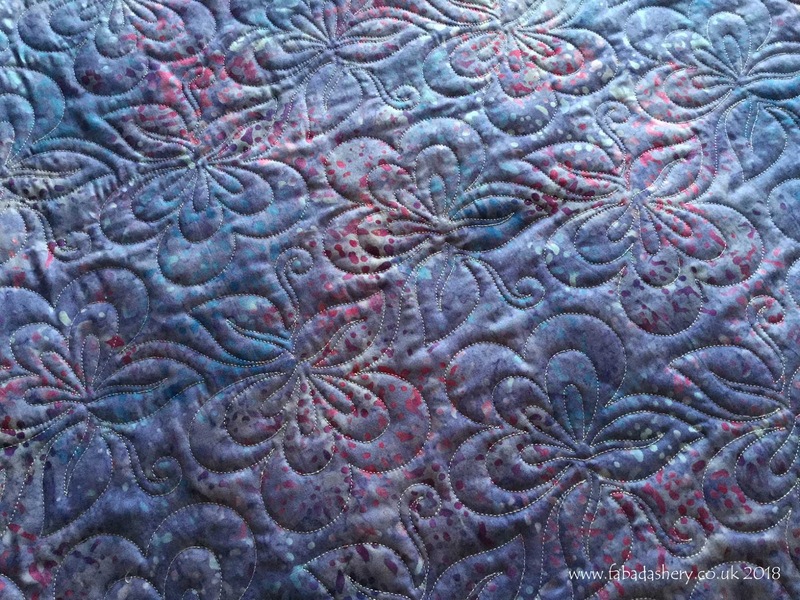 Penny always chooses a gorgeous batik fabric for her backings. 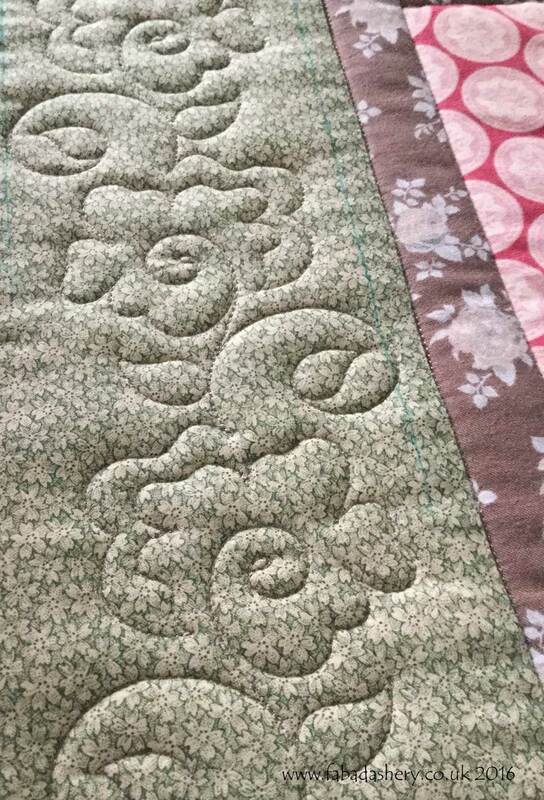 On the back of the quilt you can really see the Moxie quilting pattern, which is a reminder that if you do choose to get your quilt long arm quilted, think about the back as well as the front as you will get two quilts in one.